Two newly submitted studies verify 41 new transiting planets in 20 star systems. These results may increase the number of Kepler's confirmed planets by more than 50 percent: to 116 planets hosted in 67 systems, over half of which contain more than one planet. The papers are currently under scientific peer-review. Nineteen of the newly validated planetary systems have two closely spaced transiting planets and one system has three. Five of the systems are common to both of these independent studies. The planets range from Earth-size to more than seven times the radius of Earth, but generally orbit so close to their parent stars that they are hot, inhospitable worlds. The planets were confirmed by analyzing Transit Timing Variations (TTVs). In closely packed systems, the gravitational pull of the planets causes the acceleration or deceleration of a planet along its orbit. These "tugs" cause the orbital period of each planet to change from one orbit to the next. TTV demonstrates that two transiting planet candidates are in the same system and that their masses are planetary in nature. "These systems, with their large gravitational interactions, give us important clues about how planetary systems form and evolve," said lead researcher Jason Steffen, the Brinson postdoctoral fellow at Fermilab Center for Particle Astrophysics in Batavia, Ill. "This information helps us understand how our own solar system fits into the population of all planetary systems." The two research teams used data from NASA's Kepler space telescope, which measures dips in the brightness of more than 150,000 stars, to search for transiting planets. 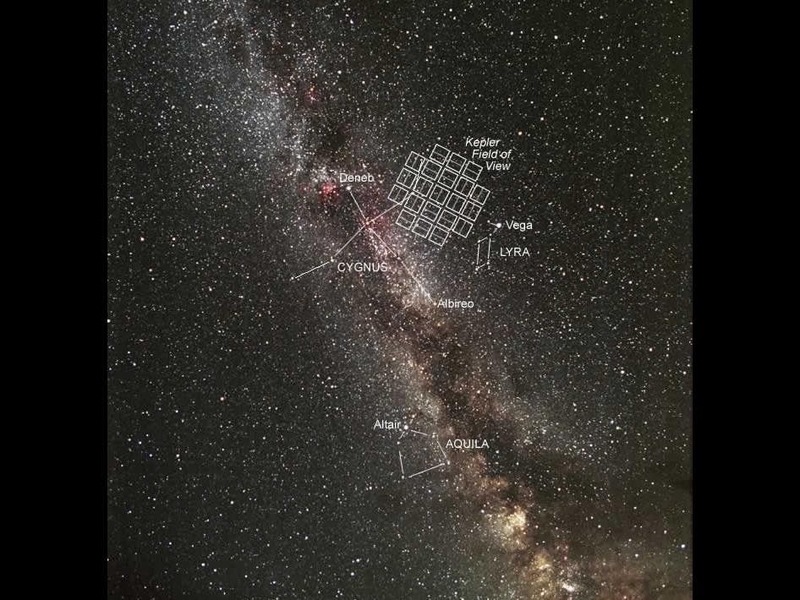 "The sheer volume of planet candidates being identified by Kepler is inspiring teams to look at the planet confirmation and characterization process differently. This TTV confirmation technique can be applied to large numbers of systems relatively quickly and with little or no follow-up observations from the ground," said Natalie Batalha, Kepler mission scientist at NASA's Ames Research Center, Moffett Field, Calif. "Perhaps the bottleneck between identifying planet candidates and confirming them just got a little wider." 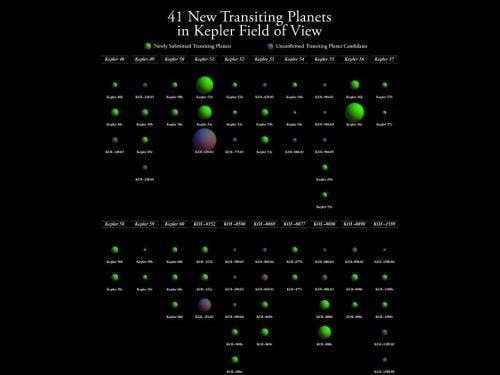 The diagram below shows the newly submitted transiting planets in green along with the unconfirmed planet candidates in the same system in violet. The systems are ordered horizontally by increasing Kepler number and KOI designation and vertically by orbital period. More information: see: J Steffen et al, 2012, Transit Timing Observations from Kepler: VII; and, Ji-Wei Xie, 2012, Transit Timing Variation of Near-Resonant KOI Pairs.